Just weeks after Donna Strickland became the third woman to receive the Nobel Prize in Physics, scientists honored Maria Goeppert Mayer, the second female Nobel laureate in Physics, who worked at the U.S. Department of Energy's (DOE) Argonne National Laboratory for many years. In a ceremony on November 1, Argonne was named a historic physics site in recognition of the groundbreaking work of former Argonne physicist and Nobel laureate Maria Goeppert Mayer. The honor comes from the American Physical Society — the world's second-largest professional association of physicists, with more than 55,000 members. According to Paul Halpern of the Society, the designation recognizes Goeppert Mayer's "pioneering nuclear physics research" at Argonne. 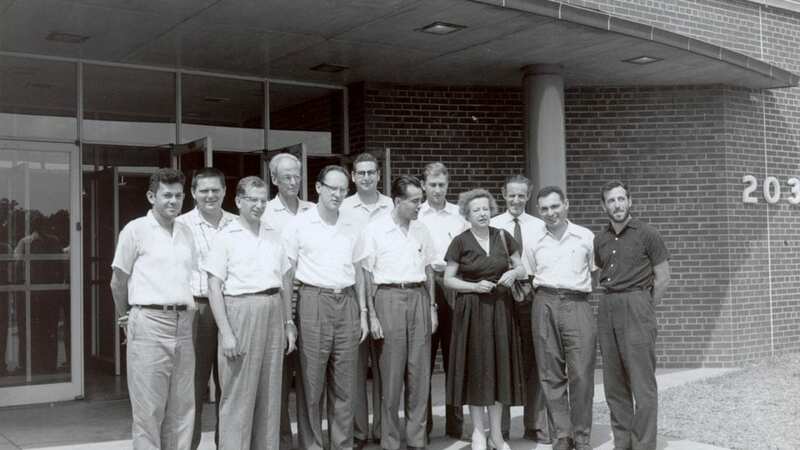 Maria Goeppert Mayer was affiliated with Argonne from 1946 to 1960. She is one of only three women to receive the Nobel Prize in Physics (the others are Strickland this year and Marie Curie in 1903). At the ceremony, Halpern unveiled a plaque celebrating Goeppert Mayer's achievements. The plaque reads: "While working at Argonne National Laboratory in the late 1940s, Maria Goeppert Mayer developed the 'shell' model of the atomic nucleus that is the basis for our modern understanding of nuclear structure. She determined that there are certain 'magic numbers' of nucleons that constitute complete shells with maximum binding energy, analogous to the stability of full shells of orbital electrons." The new plaque joins another plaque honoring Goeppert Mayer, near where she kept her office for the 15 years she worked at Argonne. For Argonne, the recognition includes being listed in the Register of History Sites maintained by the American Physical Society. "We are delighted to receive this honor on behalf of a highly esteemed former Argonne scientist. Dr. Mayer was an amazing contributor to the profession," said John Arrington, interim Physics division director. Argonne representatives at the ceremony included Argonne Director Paul Kearns, DOE Argonne Site Office Manager Joanna Livengood and Associate Laboratory Director Kawtar Hafidi. Representing the American Physical Society were Halpern and the organization's president Roger Falcone. Other guest speakers at the event included emeritus scientist John Schiffer and Takaharu Otsuka of the University of Tokyo. Goeppert Mayer received the Nobel Prize in Physics in 1963 for her work in developing a mathematical model for the structure of nuclear shells. Her model explained "why certain numbers of nucleons in the nucleus of an atom cause an atom to be extremely stable" — a phenomenon that had baffled scientists for some time. Calling the numbers "magic numbers," Goeppert Mayer postulated that the nucleus is like a series of closed shells and pairs of neutrons and protons pair up in a state called spin orbit coupling.